First up is the foundation (bottom swatch above) with anti-ageing properties this is great for anyone with dry or dehydrated skin as it really looks after it and leaves it feeling pampered whilst being perfected. One small pump also goes a long way – as this is quite a pigmented product. But could be mixed with a little serum or moisturiser if you wanted a sheerer look. It wears really nicely on the skin too – although if you are like me and have combination skin you may need a little touch up around the t-zone through the day. Then there’s the concealer – this shade is Pink Beige and you can see how it differs from the foundation. The pinky tone helps to brighten the eye area so I find the shade is ideal for hiding dark circles! This concealer is absolutely fab if you have some dark circles plus maybe a few dehydration fine lines around the eyes as it covers without caking and leaves the area looking brighter but hydrated where some concealers can aggravate or enhance dry lines. Overall, the foundation is really nice but I don’t absolutely love it – but the concealer is another story. Absolutely adore and has become one of my daily go-to products over the past month. If you have dehydrated eye areas but need a little concealer action this is fab. 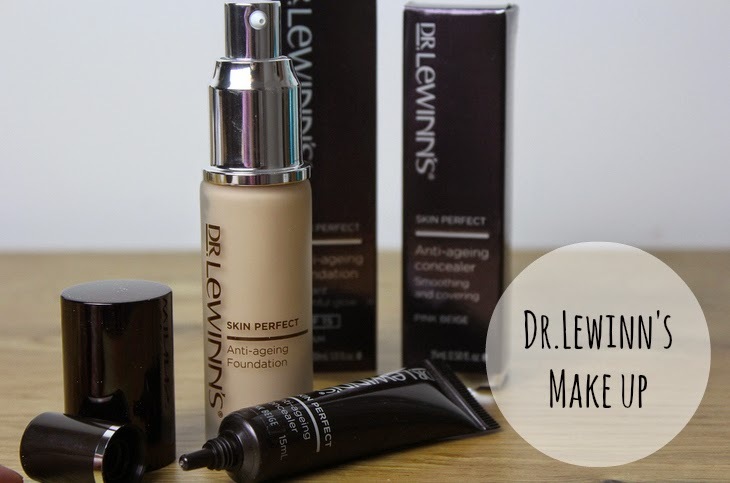 Never tried any Dr. Lewinns products. Will keep an eye out! I’ve used this foundation too and found that it can be quite drying. It’s a thick consistency too, not what i’m used too. I do agree with you on the concealer. It’s a hundred times better!